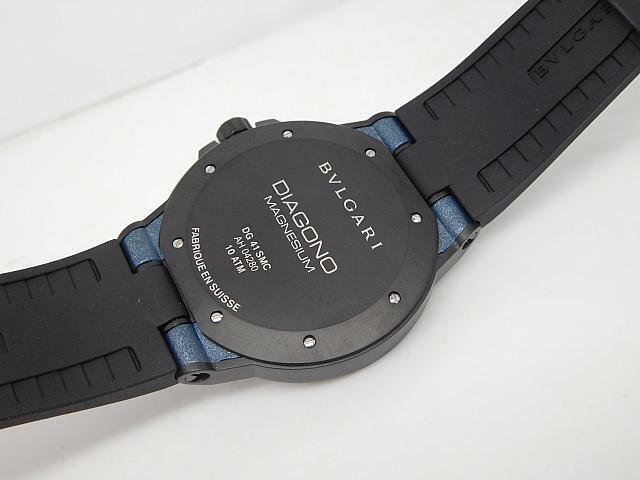 In recent days, big factories such as Noob, BP and J12 did not publish any new replica watches, while other small factories such as GF, VS and TF made their effort to replicate the latest models just published in 2017 Basel World. Last year when I opened this blog, one of the most important posts I wrote about is the review on replica Omega Spectre 007, and this watch indeed became the best seller in recent two years, I sold over one hundred of Spectre Omega watch already, now, I am going to introduce another revolutionary replica watch here today, it was made by G factory, and the main reason I chose this replica to review is that it maybe bring another sale storm like Spectre. 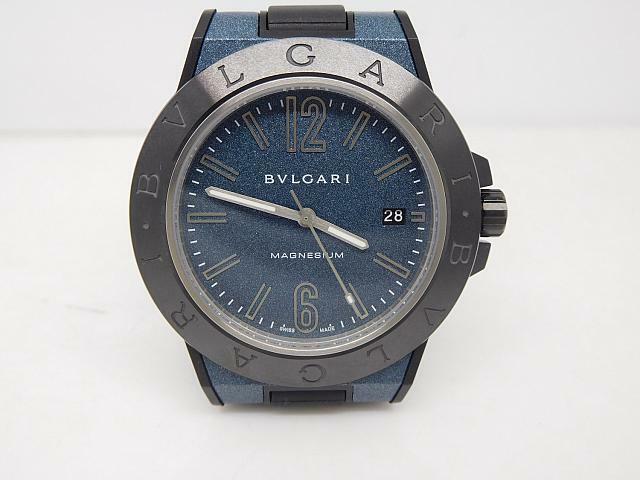 The watch is Bvlgari Diagono Magnesium replica, it has a lot of selling points, and I mainly tell you the most important two. 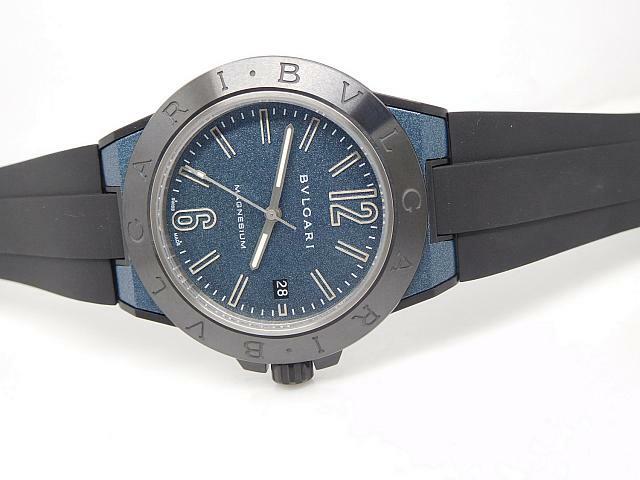 First, the material used on this watch is revolutionary. 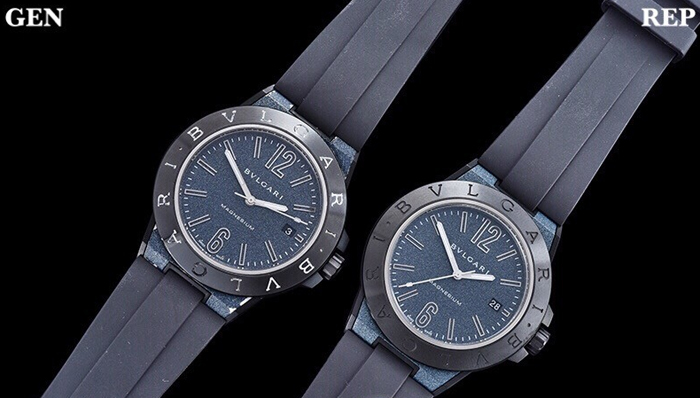 The case and bezel material are the same as genuine watch. No replicas used such material before. 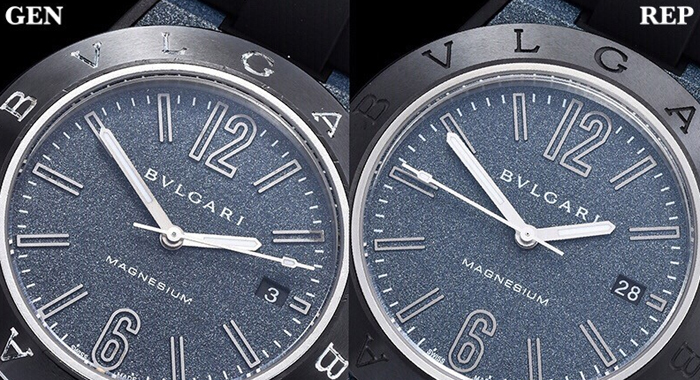 The case is Magnesium and PEEK Polymer, genuine Bvlgari also uses these materials. In the following, I shot some comparison photos between replica and genuine, they are very close and you can not find any big difference. 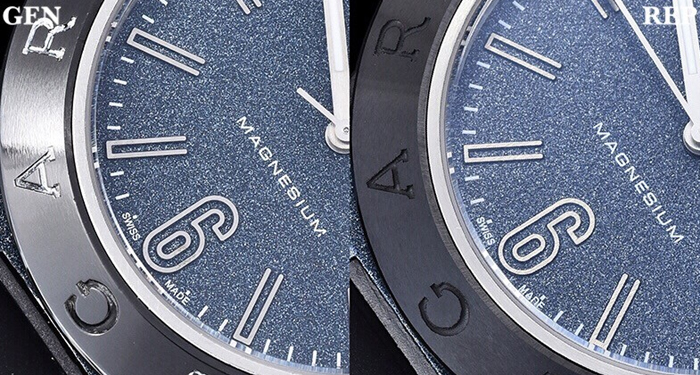 The Magnesium case gives the watch a masculine temperament, plus PEEK, it feels much lighter than those stainless steel watches. 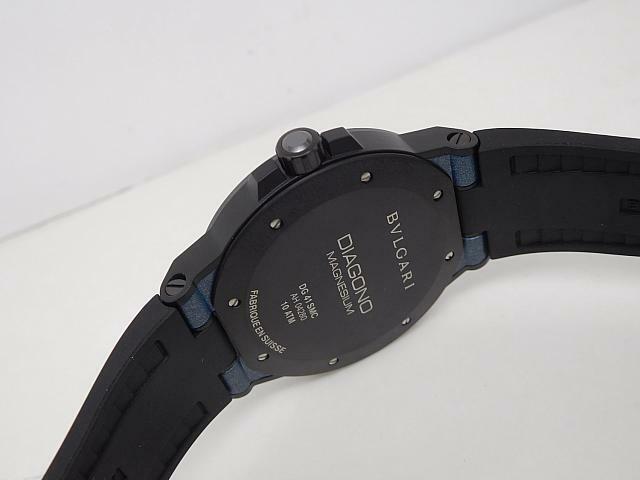 The bezel is made of real black ceramic, with double BVLGARI engraving, the black ceramic bezel perfectly matches the black rubber strap. Another big selling point of this replica lies in its movement, which is Miyota 9015 imported from Japan, this movement is absolutely more stable and durable than other clone automatic movements. 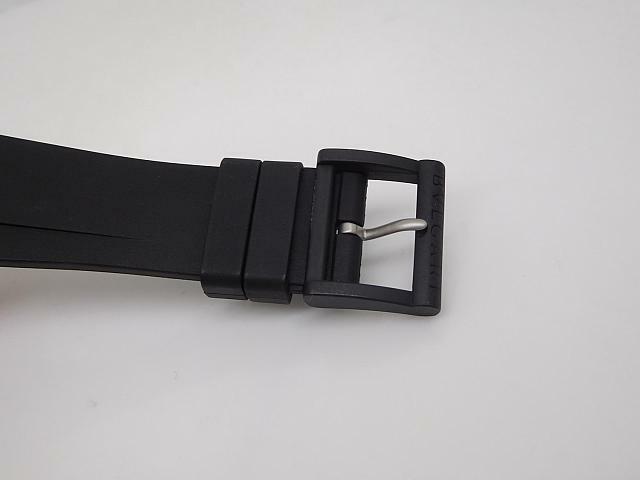 Recently some people asked me which movement they should buy, first, if you can get a real Swiss ETA movement, that will be perfect, otherwise, a real Japanese automatic movement like Miyota movement is your second best choice, the clone ETA 2836 or 2824 movement is also good because they are the earliest clone ETA movement used in replica watches. Those movements talked above are all more stable and accurate than super clone 3135 or 3186 movement. 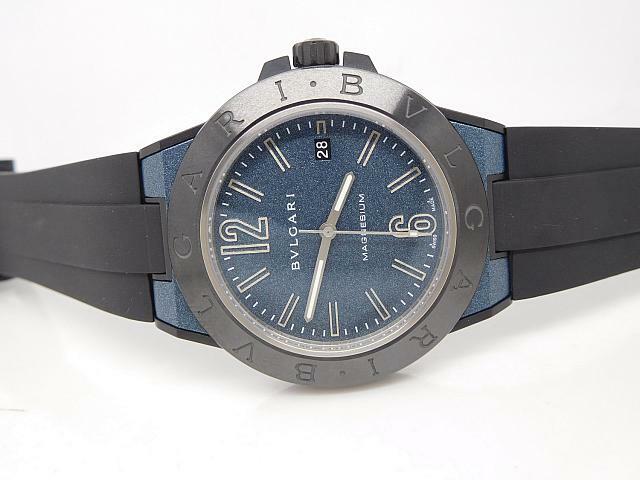 Hello, I was wondering if you can send me an email with the price of the watch, if available? Thanks in advance!